Earn up to 28,400 reward points. 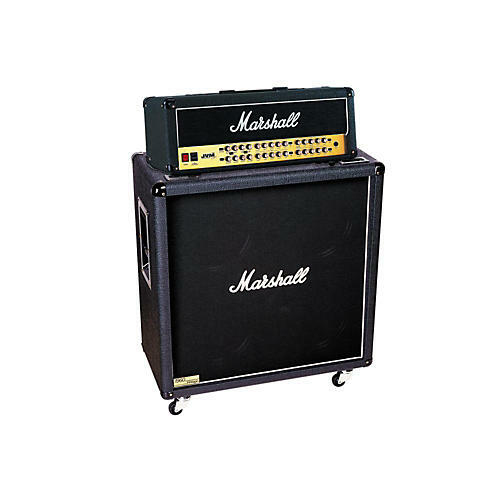 Marshall's do-everything flagship head, with a warm, smooth 4x12". Modelled on the 1960B, the 1960BV shares the same excellent build and aural characteristics. The difference is that the 280W 1960BV is loaded with Celestion G12 Vintage 70W speakers. These speakers have a smoother high-end response, which sounds warmer than the G12T-75s in the 1960B. The mid range is well defined, providing plenty of chunk without getting too boomy, which lends itself to heavier, more aggressive rock genres. It has been said that the lower-frequency response of the 1960BV has a "tuneful" quality.